The tool is designed to open a Mac OS X virtual disk image on a Windows PC. One can open and read all the items present in the .dmg file including EML/EMLX messages with attachments. 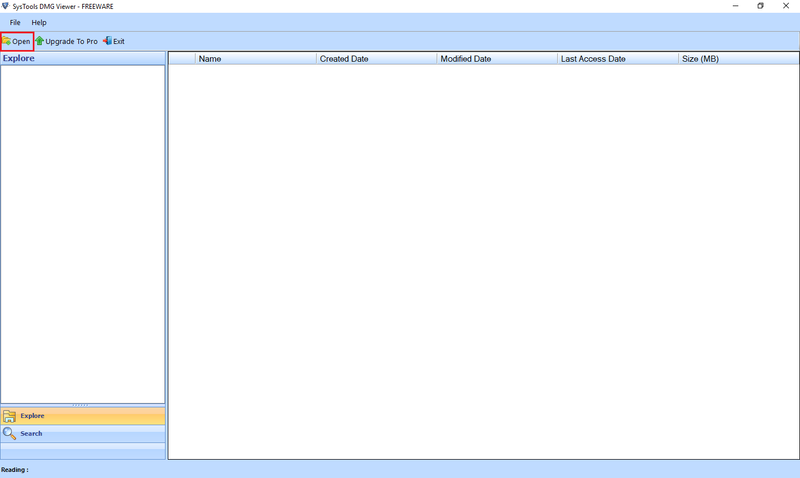 Each item is displayed without any changes to their corresponding attributes on the centre pane. Even the folder hierarchy is maintained. There is an option provided by the DMG Viewer to add multiple disk images one at a time. Each image file can be added by clicking on the “Open” button and is displayed on the left panel. Selecting the file will enlist subfolders and display items for preview. The tool has a very simple and user-friendly interface. It can even be used by a non-technical person. The software displays each item within the file in three separate ways. One is the ‘File Content’ tab to access and read contents within a file. The ‘File Properties’ view can be used for forensic analysis of each file attribute. The third one is ‘Hex’ format for accessing encrypted data. 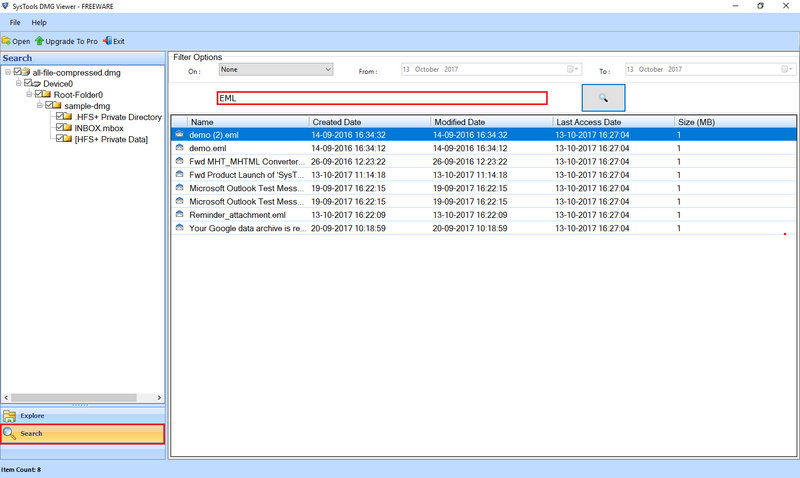 The DMG File Viewer can identify any specific item within the complete disk image file using multiple filters. It has a powerful search capability to look for items based on a keyword or a phrase. One can further simplify the search by adding the date when the file was last accessed, created or modified. This time period can be adjusted by setting a ‘to’ and ‘from’ parameters. The program is designed to handle a Mac OS X virtual disk image of any size. The code will not break even with more than 40GB of data. It is powerful can even work with read-only and compressed virtual images. Open and read messages with attachments from an EML and EMLX file. The DMG Opener can display Mac image items on all the latest version of Windows 10 and below. It can even preview contents on Win 2000 both 32 and 64-bit machine. All the tool requires to work is that the antivirus is disabled. Also, make sure the .dmg file is not saved on a shared drive. It is a virtual disk image file created on Mac OS X machine that has a .dmg extension. 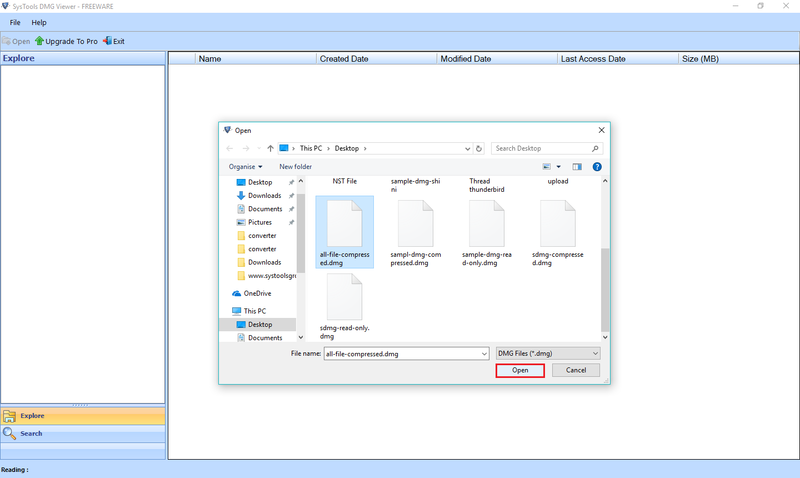 The DMG File Viewer can enlist and display all items from this file. Can the program open video and music attachments from the disk image EML file? 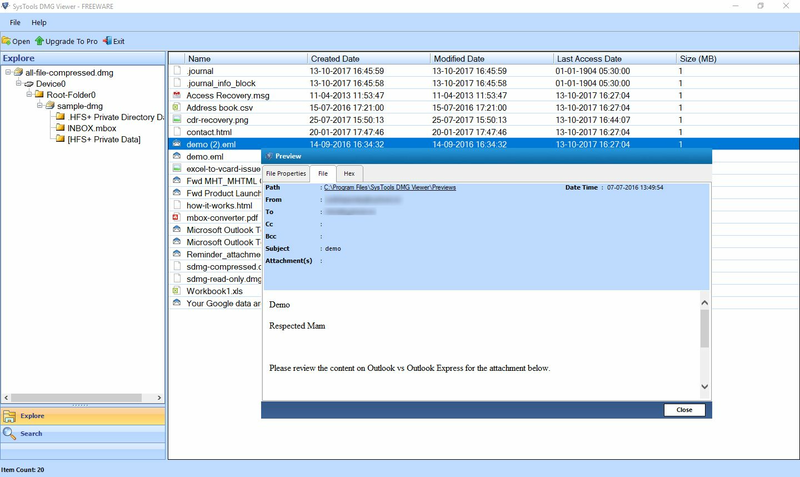 Yes, the software is powerful enough to open any kind of attachments within EML/EMLX emails including large media file. Does the DMG Opener converts .dmg to ISO format for preview? No, the tool simply opens a Mac OS X image file for preview on a Windows PC. It makes no conversion before displaying items. What is the difference between the free and the full version? The free version allows a user to preview unlimited items without any additional cost. The full version can be used to save or extract a specific file on a Windows PC. Is technical supervision or understanding required to use this program? No, it is a very simple and basic utility. It can be used by any naive or a non-technical person. It can open DMG file in Windows 7 with a click of a few buttons. I have an IT repair shop that recovers and solves regular user problems. One peculiar issue that came to me one day was an individual requesting to mount DMG on Windows system. I suggested them this software. It is completely free to use and adds no extra cost in reading EML/EMLX messages. It is a wonderful that can be very useful for many individuals.